Letters: HEMI 5.7 LITER 2. Letters: RAM 1500 2. Front Grill Emblem 1. Rear Trunk Emblem 1. Ram 1500 2013 - 2018. Letters: 4 X 4 1. Trending at C $76.88eBay determines this price through a machine-learned model of the product's sale prices within the last 90 days. Socket Type: T10/ W5W/194. A halogen lamp can be operated at a higher temperature than a standard gas-filled lamp of similar power and. Bulb Type: Halogen Lamp. Light colour: Warm White. is the correct application type of bulb. 10x 1156 3014 22SMD LED Light. LED type: 3014 SMD. Socket type: 1156. High performance LED, long lifespan, superior illumination & stability. LED Quentity: 22. Light Color: White. High luminous efficiency with high brightness light output. Socket: H7. Bulb Type: Halogen Light. Light Color: Colorful. Note: Due to light and screen difference, the item's color may be slightly different from the pictures. Suitable for all vehicles, install rear of the vehicle, at night or in fog weather alerts and reminders for the rear of the vehicle. Easy to install. Size: Laser Light Head: about 18mm 27mm. Type: Fog Light. Fit For:H7. Used for H7 Halogen upgrade to LED bulbs installation;. Quantity: 2Pcs. Size:As the Pictures Shown. Socket: 1157 BAY15D. Led Quantity: 50 SMD. 2pcs LED bulb. Simple to fit-just like a normal bulb. Solve any problems with you in friendly way after communication. 1156 = 1073 1093 1129 1141 1159 1259 1459 1619 1651 1680 3496 5007 5008 7506 7527. Led Light Color: Amber. Stick wire along the mirror to seam of door side. Stick lamp in mirror firmly. Use double tape to fix and hide wire under the mirror. High quality and super bright LED bulbs. 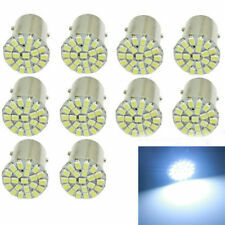 100pcs DC 6V white BA9S convex 1smd car led light. Base Type: BA9S. Applicable To Most Car Model With BA9S 53 57 182 257 363 430 615 756 1445 1155 1815 1819 1895 1889 1891 1893 1895 6253 12814 12929 W6W 2-B miniature bayonet. Fit for TOYOTA SIENNA 2004 2005. For 01-07 M-Benz W203 C230 C240 C300 C320 C32 C55 Brake Lamp Stoplight Light. 2 x Front Fog Lamp. 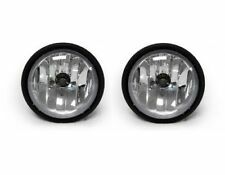 Third 3rd Centre High Level LED Rear Brake Light For 04-15 VW Caddy III KASTEN. Product Model: T10-COB-12smd Silicone RGB Canbus Error Free. Lamp beads number: single LED lamp 6SMD. Lamp Bead Model: RGB-COB. Stylish car badge will make your car more charming. Stick it on and keep your car non-washed within 48 hours to achieve the best adhesiveness. Due to different monitors, the pictures may not reflect the actual color of the item. Type: C6 LED headlight. Long range: 6000K color temperature and 200m light range. 2 x LED headlight bulb. Application: Upgrade for Car, Trunk, SUV, RV HID Xenon Headlight, ALL IN ONE Style, no extra driver needed. Suitable for any car base on the model of head light socket (H7). 2 x Car Headlight H7 Bulb. Power: 55W. Give the looks of headlight just like the luxury cars. Cross Reference:T10 T15 W16W 147 152 158 159 161 168 184 192 193. Socket Type: T15(W16W). 1x T15 W16W 4014 LED Bulb Car Reverse Light. Led Quantity: 32pcs 4014 SMD 1pcs CREE. Application: Backup Reverse Light. This tire carry tote can help you to storage the spare tire easily and keep it clean. 1 x Spare tire cover. Suitable for car, SUV, minibus, etc. Our goal is. 2014-2016 Subaru Forester Fog Light Kit. 2014-2016 Subaru Forester. Switch and wiring harness. Fog light housing. Bulb Type: H11 12V 55W. No installation instruction. High Quality OEM Grade ABS Plastic. Headlights brighten your way. But when driving in dense fog, It'll become a different story. The light from regular headlights reflects off the water droplets back into your eyes, impairing rather than improving visibility. 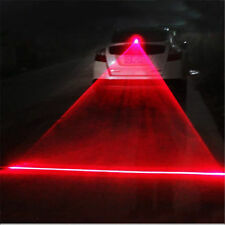 But with fog lights, positioned low on your vehicle and have a wide beam angled toward the ground, they reduce glare which helps you see the road better. 2 FOR M LOGO Badge Fender Sticker. Material: ABS. Color is constant, not faded and do not hurt the car paint. Never put the car under the hot sun within 48 hours after the installation! Never wash the car within 48 hours after installation! Flip COB LED Chip, 6O00K super white light. Chip: Flip COB LED Chip. 9003/H4(HB2): Hi-Lo Beam. Power:72W/Pair,36w/Piece. In a case there are any problems during the process,there's no problem we cannot solve. Compatible vehicles: Ford KUGA, VW passat b6. H7 LED Adapter Retainer Holder. Pls compare the photos with the structure of your car headlight sockets, connectors and bulb holders before you buy. Used to upgrade your cars headlight bulbs from halogen to LED. Light Color: White 6500K. 2pcs DC 12V 15W Eagle Eye LED Running DRL Backup Light Car White Auto Lamp Bulbs. LED Type: 24 pieces super brighter 4014-SMD LED light (12 pieces each side). This LED item is NOT designed for dual function high/low beam light. LED Type: 5050. Socket Type: T10. Light Color: Orange. LED Quantity: 6SMD. Note: Due to light and screen difference, the item's color may be slightly different from the pictures. Material: high-bright large core COB. Product list: 10 x COB LED lights. Size: 36mm 8.5mm. Led color: white light. We want to make sure you are happy with our item. Goods without RMA number will NOT be accepted. Yellow cable connection negative change flashing mode. LED quantity: 4 Pcs. Lighting color: Yellow (Amber). 1XT20 7440 LED Bulb Amber 3030 35SMD Error Free Turn Signal Stop Reverse Light. 1157 BAY15D P21/5W LED Car Tail Stop Brake Backup Reverse Light Bulb Lamp. 2 x Mugen Badge. Badge Detail Apply on Your Vehicle Bumper Trunk. ITEM SOLD "AS-IS". Description:Using a special design of the LED constant current source power supply circuit, the performance is very stable, long life, 50,000 hours, the protection of the environment, you can enjoy using it.Super Bright and Energy Saving: each light bar has 72 led bulbs, it is bright enough to meet any needs. Power 4.5W, durable, low power consumption. Voltage: 12V DC, safe to use.Easy to Install and Control: light bar easy to use light. This is a double-sided tape, custom layout, you can easily install in any place. In addition, it has an ON / OFF switch (manual), easy to use.Widely Used: AUDEW LED light bar can be used as emergency lights, camping lights, vehicle repair lights, field operation lights, trucks / boats / caravans / trailers / trucks / car boo. Trending at C $10.04eBay determines this price through a machine-learned model of the product's sale prices within the last 90 days. For Hood / Trunk / Tailgate / Fender/ Rear Windshield / or anywhere you want! all Jeep Models from 1980-2016, such as Cherokee, Wrangler, Compass, Liberty, Patriot…. and many more. Strong 3M adhesive back for fast, easy and secure installation (surface must be cleaned before application).